Wine is a fermented grape drink with good alcohol content. The color of the wines depends on the process of fermentation. Wines made from dark skinned grapes have color and tannins. When the fruit begins fermentation, the color from the skins seeps into the wine. By leaving the skins longer in the wine, we get deep red colors. However, the tannins give a bitter taste to the wines. Among the top red wines, the most popular varietals are Cabernet Sauvignon, Zinfandel, Syrah, Merlot, Sangiovese and Grenache. Different vineyards grow different varietals depending on the climate of the place and the soil type. A Merlot grown in the United States would produce different tasting wine from one produced from Merlot grapes grown in Europe. The price of the wine depends on the vintage and the dilution adopted. America’s wine or vine Zinfandel is thin-skinned varietal that must be grown in warm climate regions. The uneven ripening pattern of the grapes, the same bunch will have ripe berries and green unripe ones, raises concerns regarding the best way to harvest them. Multiple passes–handpicking method helps to pick only the ripe ones and this accounts for the high cost of certain Zinfandels. The wine develops flavor with aging and maceration, the process of leaving the skins in the juice. The first notes to develop is the strawberry. Cherry flavor forms with more time and lastly we will experiences the blackberry notes. In the warmer zones, the anise and pepper notes are also present. The alcohol content is 15% making it a hot wine. Pinot noir is very temperamental yet tantalizing, charming yet an enigma. The virtues of the grape are very puzzling to those who are not wise to the fine art of wine tasting. The skins of the pinot noir varietal are delicate results in lighter body and color. Despite this obvious delicacy, the backbone and the length of the best wines make them outstanding. These wines grew in France in 150 BC. It is the opinion of the experts that pinot noir is the best red wine in the world. The color of the pinot noir will vary from cherry red to purple red. It is an extremely difficult grape to grow and make into wine. Wines made of Pinot Noir grapes have aroma and classy taste; in addition, the Pinot Noir is one of the cheapest wines made. 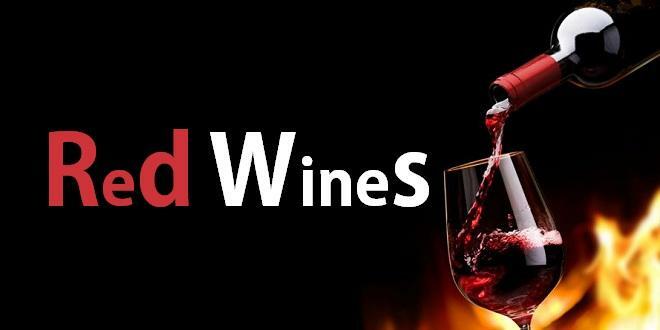 They have the best quality among top red wines. It goes well with lamb chicken and salmon. Delicate dry wine the words Pinot Noir mean pink and black in French. The wine has light to medium body it is available in all countries today once it was located only in Burgundy region in France. The ‘pine’ and ‘dark’ referring to the pine cone shaped bunch of fruits and the dark skin of the grapes gives origin to the name Pinot Noir. This is the most planted red grape in Spain and the second most planted variety in the world. Pale red in color, it has a sweet flavor. Sometimes people make it into a thick red wine. This is main ingredient in Rioja where it blends with Tempranillo to form a heavy red. Taking good care of the vines during the growing stages helps in this. It pairs beautifully with hearty meals like steak and burgers. Serve at 64˚F. Drink it fast within the 5-year period. Wines also get their body from the amount of yeast and sugar added. Mainly the quality of the fruit determines the amount of acidity and sweetness there is in the wine. Dry wine has less sugar added during fermentation (0- 1.3); this means less amount of sugar converts to alcohol. Different regions add different amounts and kinds of yeast and this gives entirely new flavor to the wine. This vine grows in the Bordeaux region of France and in Australia, Europe and America. It has great volume, suppleness and great taste blends well with other wines. It has low acidic content making it highly drinkable; the name translates to black bird in French. The aromas are black cherry and herb rich aromas. If the wine is from colder regions, the acidic content will be more. This is a sibling variety to Cabernet and Malbec. However, this does not age well. It can grow in tougher conditions unlike Cabernet vines. It buds early and therefore harvested early. It is ideally suited for medium heavy dishes like beef, red pasta dish, or heavier chicken dishes; compliments chocolate very well. Serve at 64˚F. This has less tannin than Cabernet and so could be drunk earlier. This dark skinned grape wine with peppery tang combines well with steak, stew, and beef. 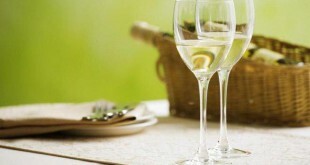 Wine drinkers consider it favorably and it is available below 20 dollars. These also have the highest amount of tannins; fruity aromas balance the bitter taste. It originated in France and spread throughout the world. This is a medium to full bodied wine with the darkest skin grape and is more popular in Australia than Europe. The flavors range from chocolates to berries to violets. This also goes by the name of Syrah. It has a spicy blackberry, plum mingled with peppery flavors. There are hints of licorice and bitter chocolate with mocha. There are sweeter varieties made while dry types are also possible. It goes well with beef or Mexican foods. It is suited for spicy foods. Serve in a tall glass at 64˚F. Can be drunk immediately, and it is possible to age it for 5 years or more depending on the tannic content. 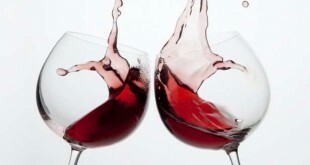 Of course, wines have therapeutic quality; they stimulate the appetite and blood flow. Taken in right amounts they are wonderful companions for your every meal. They have a pride of place in every culture and the first miracle if you remember was the turning water into wine. This slow ripening and slow maturing Italian red varietal is the base for Chianti, Carmignano and Morellino di Scansano, just as Sauvignon is for Bordeaux. The name translates roughly to “blood of Jove” and wine has high acidity and bitter finish. The body is medium heavy, elegant and robust with flavors that range from strawberry to plum. Faint floral and blueberry notes are present in various degrees too. When aged the flavor becomes tarry or oaky. There are many vineyards in California but the best wines come from Sierra Foothills, San Luis Obispo and Napa valley. This is Italy’s top varietal. Winemakers often blend these grapes with varietals such as Ciliegiolo Mammolo, Canaiolo and Colorino and increase the length of fermentation to increase the body. Super Tuscans have the longest aging period; Brunello di Montalcino vintages can age more than 20 years. Beaujolais is a light refreshing French wine. It is popular because it is highly drinkable and it is cheap. This wine comes from Gamay grapes that have thin skin and low tannins. There is high acidity and is served chilled like white wines. These wines, pair well with light foods taken for picnics and salads. 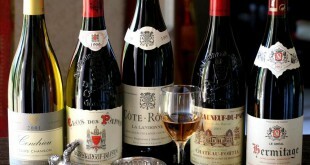 Heavier wine such as Cru Beaujolais goes well with poultry dishes and stews. Serve the wine at 57˚F. The Cabernet Franc is a lighter and fruitier variety of its sibling the Cabernet Sauvignon. They are the principal ingredient used in Meritage and used for blending with Cabernet Sauvignon and Merlot. The flavors are blackberry, vanilla and cherry. Tannins are not noticeable and the wine has a smooth finish. They can be aged upward of 10 years. It should ideally have a serving temperature of 63˚F. This red wine helps in making Rioja wine for a long time. The flavors of the wine are herb, tobacco or berry. This ripens early compared to most other grape varietals and hence the name ‘temprano’ meaning early. It grows best in higher altitudes. It adapts well to Mediterranean climates. Roots of the vine tend to absorb potassium and this may lead to higher salt content in the fruit. Aromas include tobacco, plum, berries, herb, leather and vanilla. Many winemakers blend this with Syrah and Grenache too. Nice info & Thanks for sharing these top brands. Price of these wines are also affordable.